Even reading that now makes me laugh out loud. The first few months were a heady mix of euphoria and extreme sleep depravation, I felt any residual fitness I had slowly ebbing away. Turns out there was about 30 mins free time between feeds and this usually involved me munching on anything that had a high enough sugar content to get me through the next few hours. But I digress, time moved on, we got into a nice little routine and finally it was time to chase down the ghost of my fitness past. Not because I was overly concerned about squeezing back into my jeans you understand but because I am an incredibly grumpy person when I don’t exercise (no comment needed here from my other half!). Go easy on yourself: Your body has been through a lot. Start off with some basic resistance routines using light weights. This will help rebuild muscle and strengthen bone density. Build up gradually to high impact work including running. Note to self jumping jacks are not the new mum’s friend. The friend factor: Enter my friend Emma, mum of two year old twins, possibly the world’s most motivated person when it comes to exercise. Having a workout buddy, especially one who is further down the baby road than you is invaluable. Emma used to pitch up on my doorstep on a cold, wintry Thursday evening when all I wanted to do was watch Silent Witness and drag me along to running club. I always felt so tired beforehand but once I got going it was amazing to experience the freedom of being out on my own with no little person demanding my attention. I was doing something just for me. Little by little we got more regular runs in and before I knew it I felt confident enough to take on a half marathon again. Class action: Joining a group class can really help from a motivation perspective. Because I’m a trainer everyone assumes I would rather run a class myself than attend one. But sometimes you just want to switch off completely and relinquish control to someone else. Luckily there was a superb trainer running a late evening class out of our studio which worked perfectly with bedtime routine. There were a few new mums in the group and she really took this into account when planning the classes. There was good camaraderie in the class and this made us want to attend even when knackered after a long day. BYO: The evening class led to a beach circuits morning class where you could bring your baby along. I was slightly trepidatious at first. What were the chances of all the planets being aligned and junior actually napping whilst I got a cheeky workout in? Turns out the sound of the sea is miles better than Ewan the Sheep could ever be and most Fridays we had happily dozing babies. Sometimes the thought of the effort involved in getting yourself and your little one ready and dragging them along to a class can be overwhelming but its worth the effort even if you only make it half way through. Tag team system with your partner: This may involve a more complex negotiating system than an EU directive but definitely worth it. Work out with your other half what nights/mornings you want to find time to exercise at and vice versa. Make this part of your weekly routine and stick to it. You’ll both be the better for it. A year down the road I feel fit and happy. I don’t exercise at anywhere near the level of intensity I did in the past but I’ve feel like I’ve reached a happy medium. Now if I could just get the little man to sleep past 6am I’d probably be the next Jo Pavey! Exercise is a really important part of my life and on becoming pregnant I was determined that this wasn’t going to change. Everyone’s experience is so unique but I thought I would share first hand my thoughts on the highs and the lows of exercising when pregnant and the massive benefits it brings. I truly believed I would spend the first 3 months of my pregnancy running on the beach, glowing with energy, wind in my hair and nourishing myself and growing bump with the very best superfoods on offer. In reality I was hit with debilitating tiredness and all I wanted to do was curl up on the studio sofa and nap and eat beige coloured food (yes this did happen). Don’t be too hard on yourself if you don’t feel up to exercising in your first trimester, in the majority of cases this feeling will pass and once it does you can get back on track with your exercise routine. Keep things ticking over by getting out walking and listen to your body when it wants to rest. Maintain existing fitness levels: Your goal when pregnant is to simply to stay fit, you are definitely not targeting peak fitness and introducing new intensities and weights. Keep your cool: stay hydrated, drinking plenty of water and avoid exercising in a really hot room. Monitor your exertion levels: Wear a heart rate monitor and work within recommended training zones. See helpful chart below. Keeping it light: Avoid high impact, high intensity exercises. Overheating can be dangerous for your developing baby. When you exercise during pregnancy, your overall body temperature increases more than it would do normally. Plus as you get bigger high impact exercise can put too much pressure on joints and pelvis. Work on your pelvic floor: This one speaks for itself! Overstretch: When pregnant your body releases the hormone relaxin which softens the ligaments and cartilage and reduces the stability of joints. You may revel in your new found extra bendy status but be careful when stretching not to over extend and cause permanent damage. Get up and down from floor too quickly: Blood pressure can be lower than normal and this may cause dizziness. Avoid exercises leaning on tummy area. Avoid exercises lying on your back after the first 4 months: In this position there is a risk that the uterus may compress the inferior vena cava (one of the main veins of the heart) leading to a drop in cardiac output and blood pressure and potentially depriving your baby of oxygen supply. Avoid exercises that are too challenging balance wise as you get bigger. Improved circulation: Blood volume increases when you’re pregnant and exercising can reduce the risk of varicose veins, alleviate fluid retention – yes we’re talking cankles here – and aid the digestive process reducing the occurrence of that lovely pregnancy symptom constipation. Control maternal weight gain: Unfortunately the old adage of “eating for two” when pregnant is a total myth. I found that as soon as I became pregnant everyone wanted to give me larger potions, which is not good for a food lover with a potato famine complex and the willpower of a nat. The recommended weight gain from start of pregnancy to end is 25 – 34lbs. The recommended extra calorie intake per day is a mere 200 calories and this is only in the 3rd trimester. Exercise is a great way of helping to keep weight gain within healthy parameters. Sporting heroes are made on the labour ward: This is the one I really want to believe. Studies have shown that those who exercise regularly and are used to testing their limits in sport often have reduced perceived pain during labour. Surely giving birth can not be as hard as hitting the wall in a marathon, can it?? Research also points to shorter and less complicated labours. Heres hoping! Mental health: Finally for me I would say maintaining mental sanity was a huge reason to keep working out. Just recently the other half gently encouraged me to do some exercise so I could “benefit from the positive endorphins” as he so nicely put it. ie. stop me from turning into a complete grump! Comfortable pregnancy gym gear: Somebody somewhere please develop an attractive yet practical range! We don’t all want to look like Kim Kardashian when working out. Put the triathlon on ice… for now: I love pushing myself and taking part in sporting events and it can be tough putting that part of life on hold . Exercising when pregnant for me involved a big change in my mentality and attitude towards fitness. Previously I focussed a lot on setting myself goals and achieving PBs. Now when pregnant I exercise to keep myself healthy and happy and most importantly to make sure I have a healthy, happy baby (future Olympian of course). 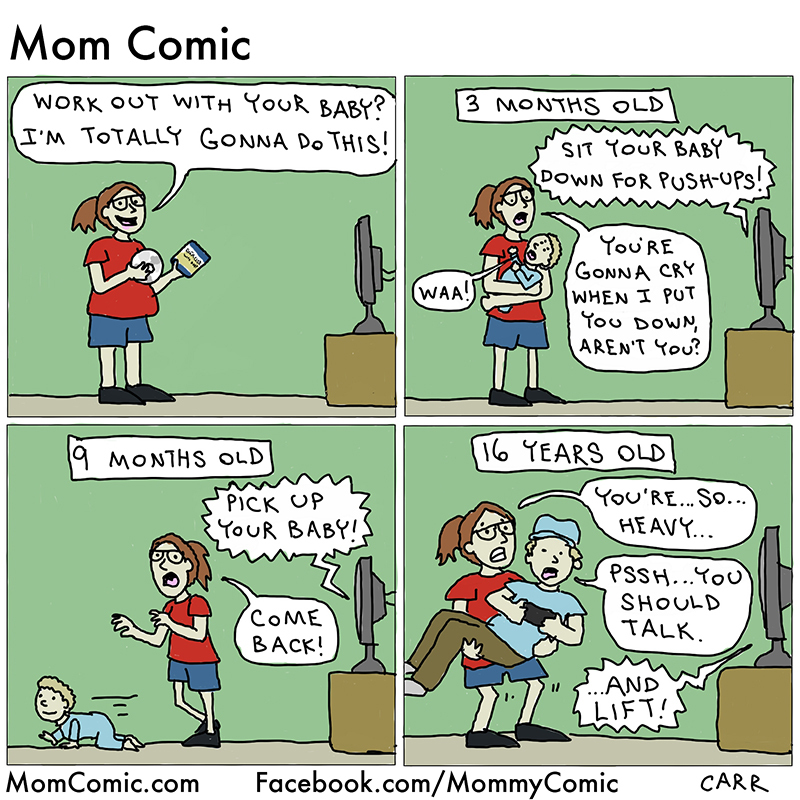 This is a precious 9 months and you need to make the most of it. HIIT – stands for high intensity interval training. In a nutshell it describes any workout that alternates between intense bursts of activity for a fixed period of time and less intense activity or total rest. HIIT pushes the body into the anaerobic training zone. The anaerobic effect happens in the body when we exert ourselves at 84% of our max heart rate and above. What does this mean? This is where your body’s demand for oxygen exceeds the oxygen supply available. Anaerobic exercise relies on energy sources that are stored in the muscles unlike aerobic exercise which is dependent on oxygen from the air. When we train at this level of intensity for short bursts of energy, we create what is called EPOC or excess post exercise energy consumption. EPOC is an after burn effect of calories burning at rest for up to 38 hours post exercise. What are the benefits of this type of training? What can be better than knowing that you are still burning calories after your workout is done and dusted. Studies have shown that you burn more fat and calories in the hours after a HIIT workout than you do after a steady-pace run. One of the disadvantages of steady state cardio can be that you may end up losing muscle mass as well as fat. This is why we always emphasise the importance of resistance training to build and maintain muscle. Research has shown that a combination of resistance and HIIT makes it possible to preserve hard-earned muscle while ensuring most of the weight lost comes from fat stores. This method of training is about maximising short periods of time rather than wasting unproductive hours at the gym. According to a 2011 study presented at the American College of Sports Medicine Annual Meeting, just 2 weeks of high-intensity intervals improves your aerobic capacity as much as 6 to 8 weeks of endurance training. Although hard work, the time does go quickly and its all over before you know it! You don’t need a shedload of fancy equipment to complete a HIIT workout. All you need is your own bodyweight and lots of energy and drive. Yes this way of training is very challenging but you will find that after a workout of this nature the positive endorphins will truly be flowing and you’ll feel ready to take on the world! When we think of weight loss we automatically think if my numbers are lower on a set of scales then I’m on the right track. This isn’t always a clear cut answer. Yes losing weight is a good thing (if you need to lose weight that is for health reasons) but it has to be the ‘right’ weight loss. What I mean by this is that rather than think of weight loss we should think of fat loss. As we know we are made up of bones, lean tissue (muscles), connective tissue (ligaments, tendons, cartilage) and adipose tissue (fat) as well as internal organs, water, blood etc. But we cannot lose weight from bones, connective tissues, internal organs or blood etc but we can change the amount of lean tissue and fat we have and these can go up or down. Most of us when we are trying to shift a few pounds really mean that we want to look more toned and aesthetically pleasing. What this actually equates to is that we want to lose fat AND actually increase muscle definition. One old train of thought is that we want to turn fat into muscle which of course is physically impossible. We can however lower fat reserves in our body and increase lean tissue at the same time, thus giving us what we really want. If we were to weigh ourselves on the scales in this scenario we wouldn’t necessarily see a reduction in weight and so this form of measuring is pretty redundant by itself. What is far more accurate is if we measure our body-fat %. This can be done a variety of ways, some good, some awful, but a pretty cost effective and accurate way is with body callipers. These measure in mm fat tissue at various sites on our bodies and then we can work out what % we are regarding our gender and age. Let’s put this into practice with an example. Let’s say Joe Bloggs weighs 80kg and wants to get toned and ‘ripped’. He embarks on a 6 week training programme and at the end of it weighs 78kg, which is a 2kg drop. In this example he just uses the scales and nothing else, so all he can see is that he has lost 2kg, which for all the effort he put in makes him feel a bit bummed out and gutted as only 2kg for 6 weeks’ worth of hard training. If he had calculated his body-fat % it could have been a far different result. Joe at 80kg had a body-fat % of let’s say 25%, which is pretty common. This means that of his 80kg weight, his lean weight is actually 60kg (80×75%) and body-fat of 20kg. After his 6 week programme his weight went down to 78kg however his body-fat percentage is now 20%. Joe’s lean weight now is 62.4kg (78×80%) and his body-fat is 15.6kg. So rather than just losing 2 kg, he has actually lost 4.4kg of body fat whilst at the same time gained 2.4kg of lean tissue (muscle), a much more pleasing set of results. Losing more fat isn’t just good for appearance it is also far healthier for him in daily life and there are far more benefits of dropping body-fat (albeit not to dangerously low levels), but did you know that having more lean tissue is also beneficial. Again it looks more aesthetically pleasing to most people but by having more lean tissue your body actually burns more calories on a daily basis! It is like catch 22 but in a good way! Muscles use fuel (calories) to do the tasks we set them to do, so having greater muscle mass means you burn more calories, simple really! Next time you are thinking of your weight goals why not give this a try, at Ocean Fitness we can help you to get your weight loss/gain goals and we are offering a free body-fat check to anyone who contacts us asking for it!! Hope this is useful info, if you want any more please just ask. What do we know about fats? They are bad for us. They make us fat. They are high in cholesterol. They will make us have heart attacks. The list goes on. This is quite a limited viewpoint on fats. This post is (hopefully) going to shed a little more light on the topic and maybe make you think fats aren’t all that bad! These are unsaturated, meaning liquid at room temperature, think Olive oil for example. Other sources are avocado, peanut oil, vegetable oils and nuts. They are deemed to be good for us as they have a single to single carbon bond, resulting in 2 fewer hydrogen atoms than saturated fat (we will look at this later). They are deemed to reduce bad cholesterol levels in your blood (winner), whilst also believed to reduce the risk of heart disease and stroke. They are also high in nutrients which help maintain and develop your body’s cells. It’s a bit scientific but used in moderation i.e. don’t drink olive oil and only eat nuts they are good for you. Omega 6 types (reduce): Vegetable oil, sunflower oil, mayonnaise, oil used in fast food etc. These fats are good for us as they help with satiety (felling full), help to lower your blood pressure and more. Generally seen as bad for us, saturated fat is solid at room temperature (think butter). These contain high volumes of the fat soluble vitamins A, D, E, and K. These vitamins need the fat to be present to be absorbed. Saturated fat also helps the liver flush out any fat accumulation in it. Research has also shown that eating saturated fat reduces the bad cholesterol (LDL) and raise the good cholesterol (HDL). There are many more benefits of eating saturated fat, it is essential for brain function, can help with weight loss, stronger bones and more. Bad bad bad bad. Known to raise bad cholesterol (LDL) and reduce good cholesterol (HDL), they can cause heart disease, diabetes type 2, stroke and a plethora of much more! Why? Well basically Trans fats are created by the hydrogenation of oils. Hydrogenation solidifies liquid oils and increase its shelf life. It is completely unnatural and in my book anything unnatural isn’t good for us, makes sense doesn’t it. You wouldn’t eat a lump of plastic as it is unnatural and has zero health benefits. Transfats also have zero health benefits, but guess what they sure are tasty! They are in fried foods, doughnuts, pastries, fast food and many other rubbish foods available to us. If at all possible avoid. Now this is a very brief post about fats, there is far more on the internet and in research pages and books so if interested I would delve further. Hope it helps to some extent. Do we eat enough Protein? Are we eating enough Protein? Firstly, let’s look at the 3 macronutrients in our foods. They are split up into Carbohydrates, Proteins and Fats. Every food out there is made up of these food groups in varying amounts depending on what it is. A chicken breast will have more protein per 100g than a piece of bread, which would have more carbohydrates per 100g. 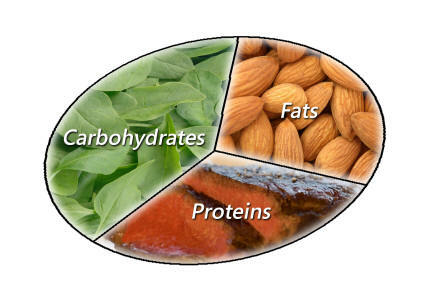 Macronutrients are nutrients that provide calories or energy. Nutrients are substances needed for growth, metabolism, and for other body functions. Since “macro” means large, macronutrients are nutrients needed in large amounts. 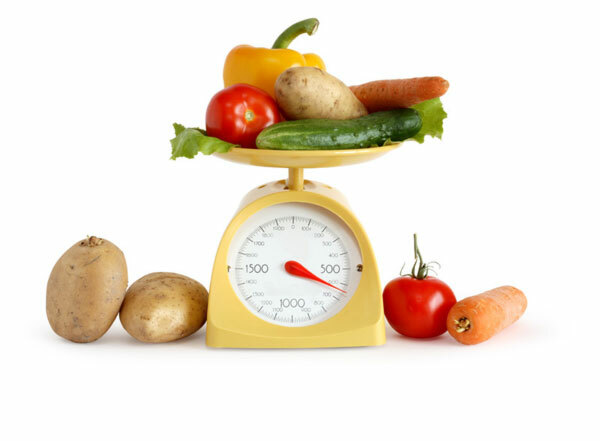 In our last blog, we talked about how many calories we need per day individually, which is a great way to begin changing your dietary habits. What we now want to look at is how we break our total daily calorie total into the 3 macronutrients. This can be tricky, as depending on what you are doing in your daily life, you may need more or less of one than the other. If you are doing a lot of exercise then you will predominately need more of each macronutrient than someone who is more sedentary. If your aim is to build lean muscle and look more ‘toned’ you are going to need more Protein in your diet and possibly more carbohydrates (for weight gain, although this won’t be as lean). But there is a rough guide for the amount of Protein we all should be getting, both women and men. One thing I see all too commonly however is a lack of protein in our diets, protein is essential to building tissue, cells and muscle. 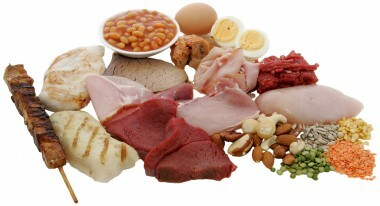 We also have 9 ‘essential’ amino acids that we have to get from eating/drinking protein. Essential means that our body cannot make them and so we have to ingest them. Protein increases satiety, which is the feeling of being ‘full’, which helps anyone on a weight-loss, fat-loss, lean muscle gain meal plan. But how much should we take? Roughly speaking, if we are trying to lose a few pounds or inches around the waist we should take between 0.8g – 1g of Protein for every lb we weigh. So if a man was to weigh 80kg, this is 176lbs. This person should have 176grams of protein per day. If you are female aim for 0.8g per lb bodyweight and male 1g per lb bodyweight. If you are doing more exercise and/or want to gain more lean muscle, these figures would increase, contact us for more info on this. Why do we want to eat small amounts every 2-3 hours for weight management? Well there are a whole host of benefits eating this way; such as increased metabolism from the thermic effect of food, increased satiety, sticking to a meal plan (if you don’t eat for 6-8 hours you may want to reach for that biscuit to give you a quick release of energy) and more. As with anything this won’t be for everyone, but give it a try and if it works for you then stick with it. In above example that would be roughly 35g of protein per meal (176/5). Fats = 9kcal per 1g. 176grams of protein is therefore 704kcal. In our example then, our subject (33yrs old) weighs 80kg (176lbs). Let’s say he was 6ft and had a sedentary job. Using the equation on our last blog post, we can work out that his TDEE would mean he must intake 2222kcal per day. (BMR is 1852 and multiplied by 1.2 for sedentary job to get 2222). If we minus 704 from 2222 we are left with 1518kcal. This individual should get 704kcal per day from his diet in form of protein. The remaining 1518kcal depends on the individual as metabolically we are all different and some people’s bodies respond to fats better than carbohydrates and vice-versa. There are tests for this which we will discuss on a further blog post. Let’s say he responds well to eating more fats in his diet, in this situation I would recommend him getting 20% of daily diet from carbohydrates. This leaves 1074kcal left, to be derived from fat sources. 1074kcal divided by 9 is 119grams. This would be a good base to start, but as with anything this can be tweaked. Why don’t you work out how much protein a day you should be eating and see whether you are eating enough? This really just scratches the surface on this issue, contact us at Oceanfitnesspoole for more information. How much should you be eating per day? Do you know how much you should eat and drink per day? If you have any kind of fitness goal be it weight-related or fitness related you really need to know. Government guidelines of Male 2500Kcal a day and Female 2000Kcal a day are often wrong for the majority of us. Thankfully there is a way to work out your individual amounts. 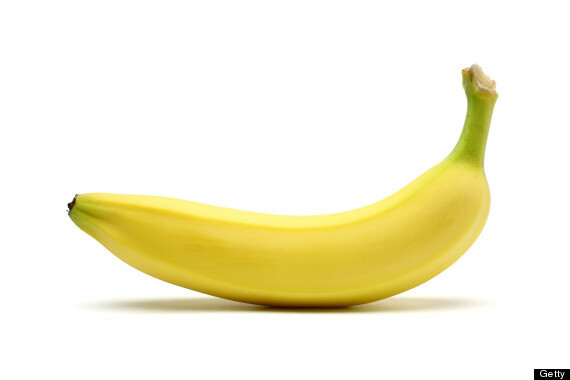 Therefore, if we eat 100g of banana, our bodies get 89Kcal worth of energy. The figures above for Fats, Carbohydrates and Protein are the amounts of each Macro-nutrient in the banana which combine to make up the calorie total. How do we work out our individual amounts then per day? For this we need to look at your BMR (Basal-metabolic-rate). This is how many calories your body burns at rest per day, i.e. if you were to lie in bed all day and do nothing, this is the amount of calories your body would ‘burn’ just to function. I prefer to use the Metric system so let’s say there is a 40 year old woman weighing 60 kilos, who is 167cm tall. In this example, her daily calorie intake would be 1343.6 Kcal at rest. With our above example, let’s say the woman works in an office and doesn’t exercise, we need to multiply her figure of 1343.6 x 1.2, giving a new figure of 1612.32Kcal. So this woman would need 1612Kcal per day. If she is eating exactly 1612 Kcal a day, her weight should stay the same, any more than that she would put on weight and any less she would lose weight. Now if she were to follow the government guidelines of 2000Kcal a day, she would be gaining weight and most probably be pretty upset about it! Why don’t you work out your daily calorie amount now, it may surprise you. As with most things, this is the tip of the ice-berg. Our next post will explain what the different types of foods and the calories they give us and why certain ones are better for your fitness goals. If you want more information or want help working out your daily calorie intake, contact us at enquiries@oceanfitnesspoole.co.uk or at our FB page oceanfitnesspoole. Welcome to the Ocean Fitness blog! Hi, welcome to our first Ocean Fitness blog. This is where we will air our thoughts, knowledge and research about different aspects of the world of Health and Fitness. For our first post I am going to talk about what pointers to think about when beginning your fitness journey. Getting fit isn’t always easy; there is no magic formula however, there are certain things you can do to make it a bit easier. So simply saying “I want to lose weight”, or “I want to get toned” isn’t enough. Try thinking of the above acronym. How much weight do you want to lose? When do you want to lose it by? How are you going to measure this? Can you dedicate enough time and effort to achieve your goal? A better goal would be, “I want to lose 2 stone in 6 months, to achieve this I am going to exercise 3 times a week for 45 minutes.” Providing this is realistic and attainable i.e. you have 2 stone to lose and can dedicate the time, you will have a greater chance of getting there. The next piece of advice is to not be too hard on yourself. Most of us will have a wobble from time to time; we are not machines, we are human and we make mistakes. You may have to skip training from time to time or your nutrition may have the odd off day. Rather than beat yourself up, simply acknowledge that it was only a blip and get back on it. Have a training partner; this could be in the form of a friend, or group exercise, or Personal Training. In a way, this makes you accountable for your actions and gives you extra motivation to succeed. You are far more likely to stick with it if you have people helping you out. If it interests you, begin reading about nutrition and exercise. Having more confidence in both the kitchen and gym will have a snowball effect. You will eat healthier, train better and more frequently (time permitting). Think why are you doing this? There is a reason why you have chosen to begin, keep sight of that goal even when the going gets tough as it will be all the more satisfying knowing how hard you worked and how well you have done! Last but not least, enjoy it. This is your life; the benefits from eating better and getting healthy are endless and you can have fun along the way.